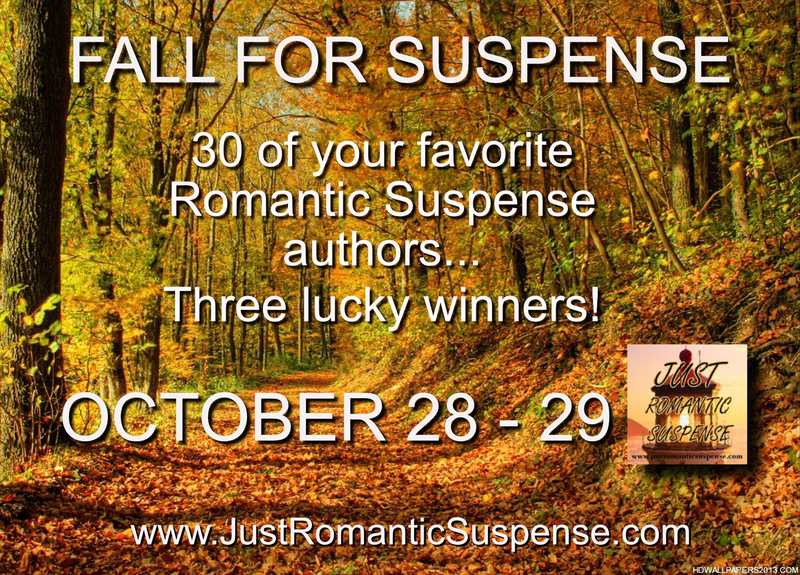 Congratulations to "Sheri L.", "Mary C." and "Denise H.", the winners in this year's FALL FOR SUSPENSE giveaway. Thank you to all the authors and readers for their participation! 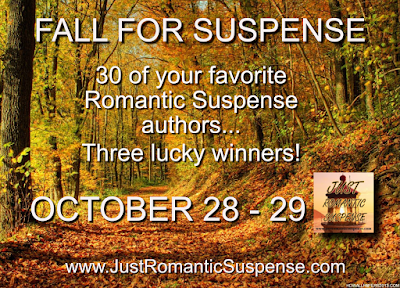 From October 28-29 everyone has an opportunity to FALL FOR SUSPENSE on JUST ROMANTIC SUSPENSE! On October 30th, one grand prize winner will be able to select 10 titles of their choice from the big pile of books. Giveaway ends 11:59pm EST October 29th. Please note the author's individual restrictions. My favorite orange thing is Orange (fruit, juice, you name it). What a great giveaway! Amazing authors and great reads. My favorite thing orange would be oranges, lol. Thanks for the chance. My favorite orange thing is cheddar cheese. Thanks for the amazing giveaway! The Houston Astros and the Sam Houston State Univ Bearkats!! Favorite orange thing..... Flames of a bonfire! My favorite orange thing is my Kia Soul - it was "the" color for 2018. My favourite orange thing is a Pumpkin Loaf...yum! Thank you for the chance! My light up Halloween pumpkins! 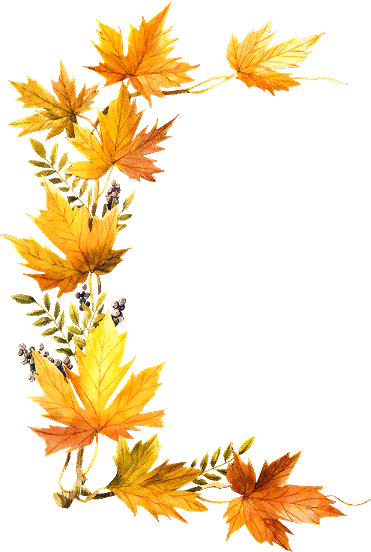 My favorite thing is pumpkins. I love to crave them with the kids. So many great choices of books. My favorite orange thing is an orange. Orange slice candy wedges, they’re delicious! I’ve been eating them since I was a child. Great giveaway, my orange is my grandsons football team their called the black diamonds and their orange and black. My favorite orange thing this time of year is pumpkins, carved & uncarved! During other times of the year I prefer oranges you eat! My favorite orange thing would be a Reese’s Peanut Butter Cup wrapper along with the inside. Lol.